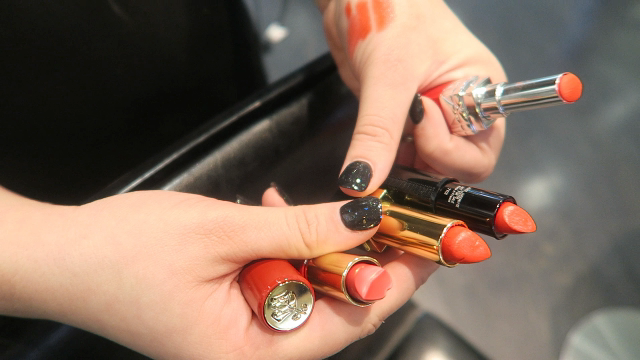 Can Women Of A Certain Age Wear Orange Lipstick? I Tried It Out Myself ! Over the summer I stepped-up my lip game up by trying red lipstick for the first time in my life. Let's say I have worn that color out and now I want to try something new and a little brighter. 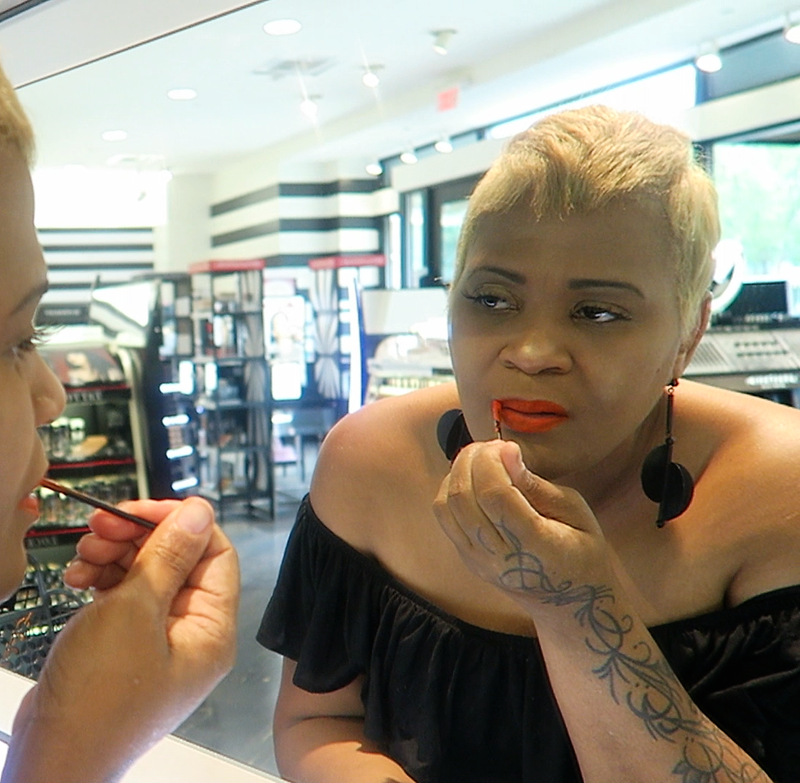 So, I went into Sephora and asked to try on an orange lipstick, and to my surprise, A store rep brought me over a dozen textures, color shades, and name brands for me to try. I thought I was going to go into the store and find my shade by browsing by myself. Boy oh boy was I wrong, I am one of those customers who will not want help. Until I can't find what I am looking for, then I cry for any sells representative to come to rescue me from my confusion. After testing a few of the colors on my arm, I did discover the color looked different on my skin. Depending on the shade I was going for, I saw dark, light and bright orange. The choices were unusual, and it was tough to make up my mind. So I started trying them on until my lips were almost tender from wiping and reapplying. I went with the pencil stick by Laura Mercier in neon orange. I felt as though it gave me the right balance in medium to bright orange on my lips. Also, I loved the fact I didn't need a lip liner because this tube acts as both a liner and full lip color. 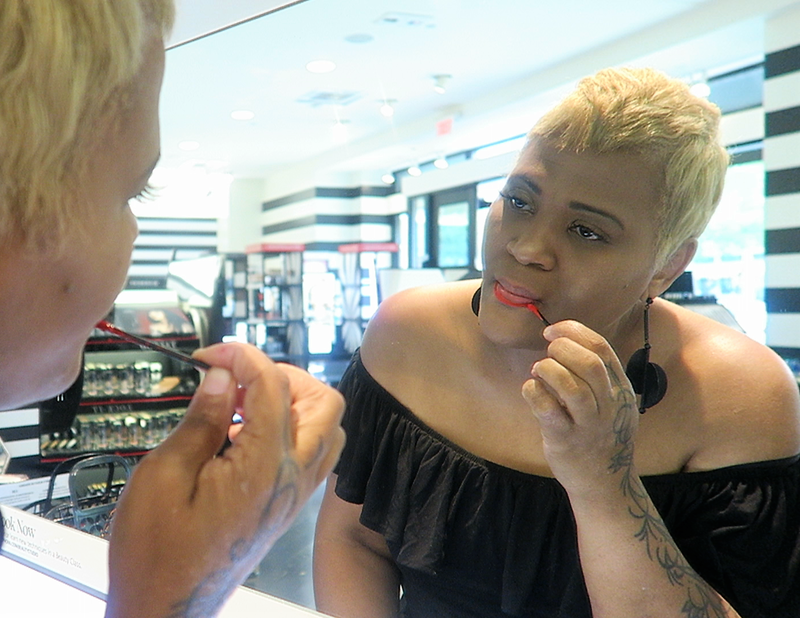 Never be afraid to try something different rather it be a lip color or a new dress. Try it on and own it. Age has nothing to do with trying new things. It is ok to wear that bright orange lip for fall, winter or any season that you feel there is a need to pop a little color in your life. 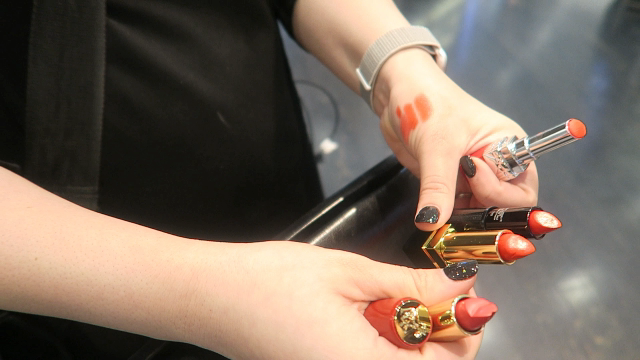 Always moisturize your lips before wearing a bold color. When your lips look and feel smooth, the color will adhere and last longer on your lips. 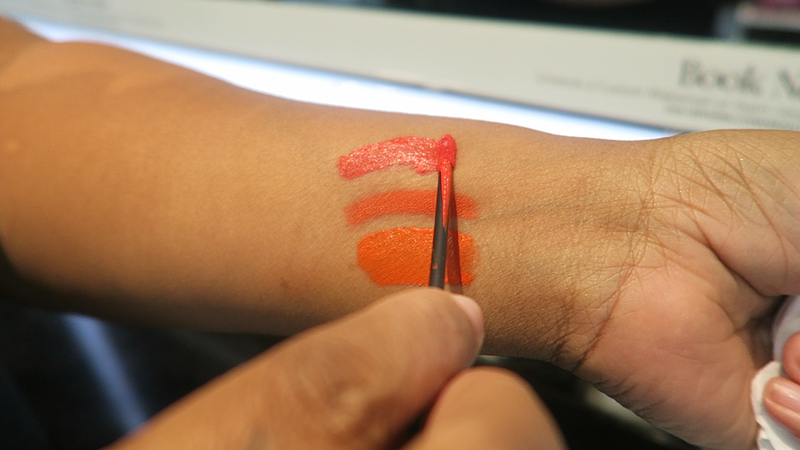 Try on as many colors as possible, never settle for an incorrect shade. 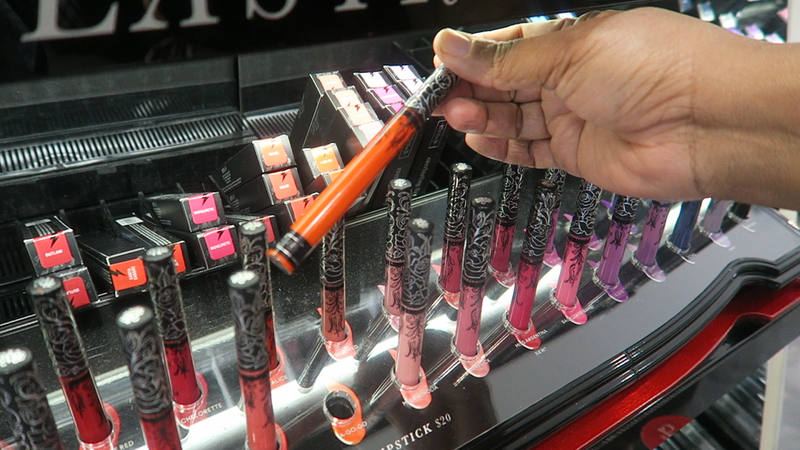 No matter what color you choose to purchase be prepared for the array of shades it will come in. 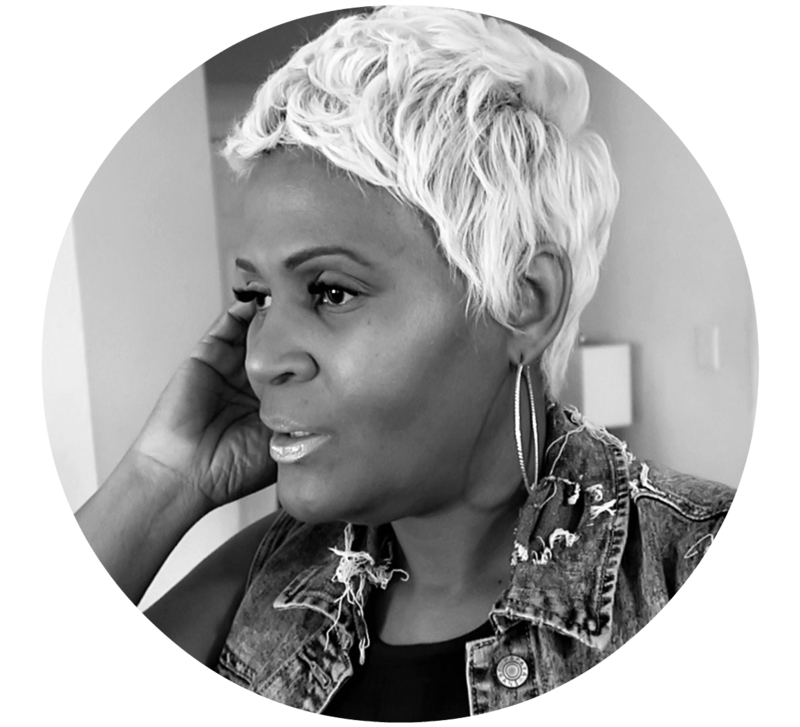 It is scary rearranging my style as I go through life. But I want to try and see new things, and I've decided my age is not going to stop me at all. So, hey I am getting myself prepared to try a blueish lip color. I just may waltz back into the store and ask for every shade in blue. And do you know what that is called? It is called trying new things and doing life the way I see fit for myself even if I look a bit crazy to other people. 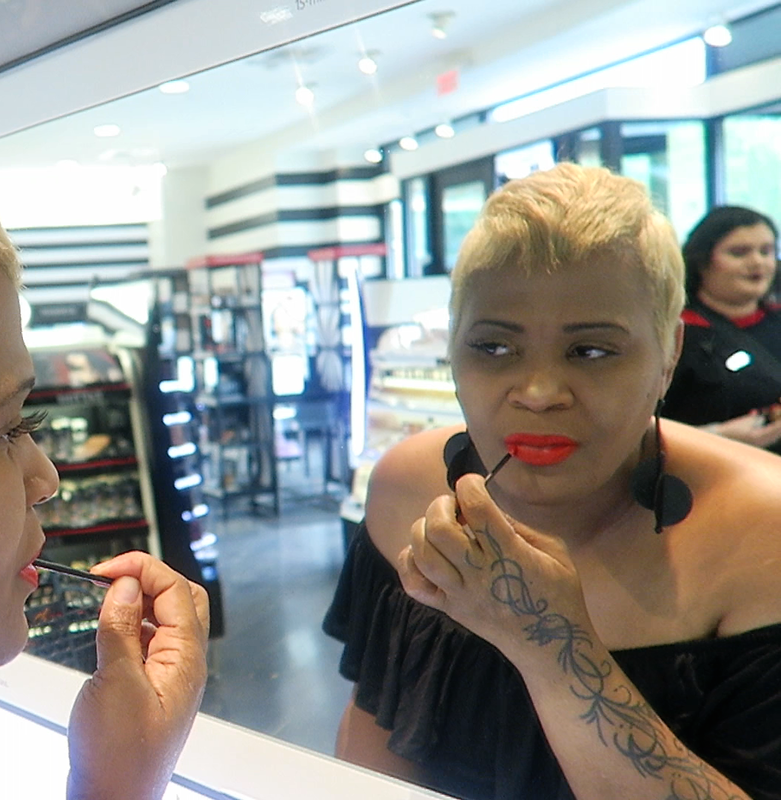 What lip color would you like to see me try next? Do you, be true and live your best midlife possible. I just want to say that LOVE me a good orange and have been looking for one forever! I used to wear a really pretty one in high school but I haven't been able to find one yet! But I def one to try the one you showed today! It looks good! Hey thanks Shacarey. I love the browns you wear:) Thanks! Thank you :) I may try the Ruby Red soon!